BlockFi is not the first lending firm in the digital currency space. However, the startup seems to be getting the most attention these days. BlockFi was founded back in 2017. The startup started giving out fiat loans with digital currency collateral in January last year. The firm fully came to the light this month when it launched a deposit account that bears interest. According to the firm, the interest-bearing account would yield an interest of 6.2% per year for holding the ether or BTC of investors. This sounds too good to be true, and the product has amassed enough traction so far. Zac Prince – the founder and CEO of BlockFi – said that the firm has already seen digital currency deposits worth over $35M. The beta testing version of the product began in January. He said investors started depositing cryptos since January. However, $25M of the total funds came after the official launch of the product on the 5th of March. Out of the $35M, 80% is in Bitcoin (BTC). However, as it has always been in the crypto space, the product of BlockFi also has some skeptics. Lawyer Stephen Palley said that while the firm flaunts 6.2% interest, it can modify the rate whenever it wants. Others have pointed out that the deposits will be not be insured as banks do. As such, the gain is limited to 6.2% whereas the loss is 100% if the firm fails. Caitlin Long also pointed out that people get themselves exposed to a sort of counterparty risk when they deposit their cryptos with the firm. She said she did not see any disclosure on that. Long added that by holding the right rehypothecate the funds of customers, BlockFi might expose itself to a legal issue in some states in the US. At the moment, BlockFi is offering two products to retail clients. The firm is offering digital currency-funded interest accounts and digital currency-backed loans. The crypto-backed loans grant customers USD loans for a period of twelve months at 4.5% interest. However, customers have to deposit Bitcoin (BTC), Ethereum (ETH), or Litecoin (LTC) as collateral. Customers are only allowed to borrow up to 50% of what the worth of the deposited crypto at that time. Whereas, with the interest-bearing accounts, users deposit ether or BTC with the firm so the asset will gain interest every month. The interest rate advertised by the firm is two to three times better than what a US bank saving account or Treasury bond yields. However, according to the terms and conditions, the interest will be calculated by BlockFi at its discretion. Prince also said that the firm has on benchmark it uses to determine the interest rate. The absence of such a benchmark gives the firm the flexibility to modify the rate and make it more attractive to potential users, Prince added. He said that they are still in the business and the product doesn’t make money for now. 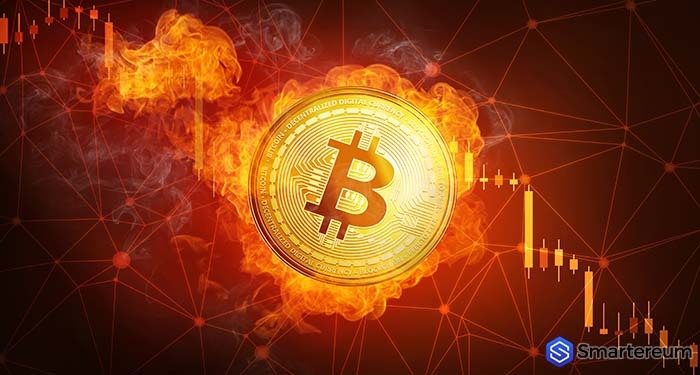 At the time of writing, Bitcoin (BTC) is changing hands at $4,020 after an increase of about one percent over the past twenty-four hours. The current market cap of the digital currency is $71.07 billion. The trading volume of the digital currency over the past day is $9.19 billion.